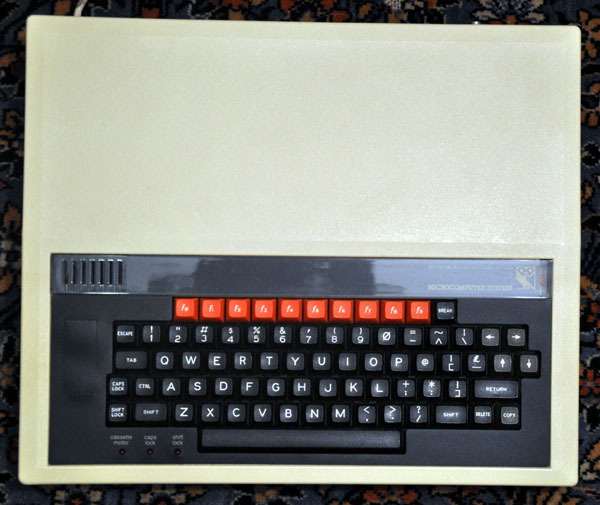 was a result of the BBC Computer Literacy Project. The BBC called for bids for an educational computer (I do not know of the specification), but Acorn Computer Company in Cambridge, England won it. 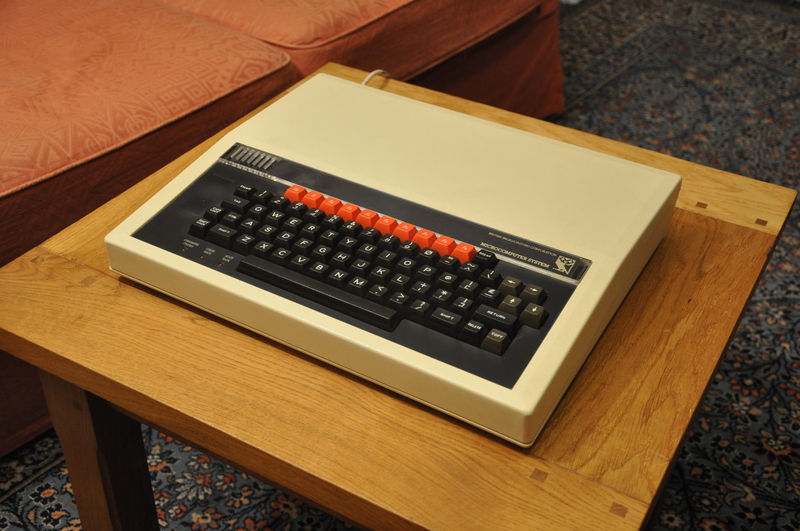 This is the bare box, it has a keyboard but no other peripherals. 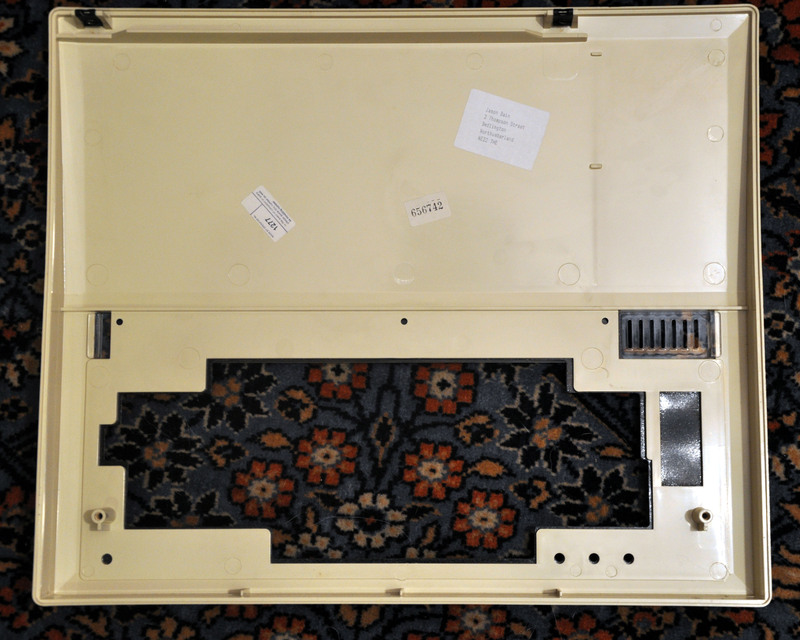 This is the box with the top removed. Just 4 screws. This is the inside of the lid of the box. There are three labels one of which is of Jason Bain. I am awaiting a reply from him about this computer. The middle 40 pin integrated circuit is labelled R6502-13, it is a Rockwell 1MHz 8bit microprocessor. 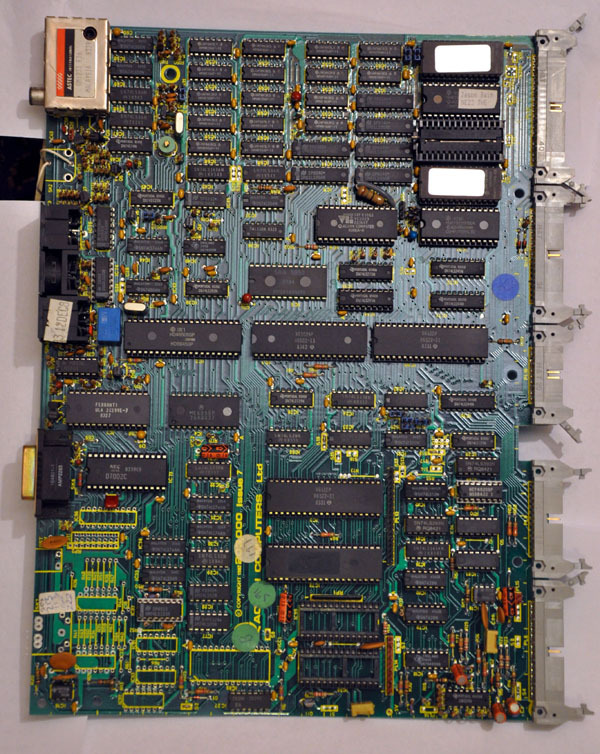 At the top of the board is sixteen 16pin integrated circuits labelled HM4816AP-11, they are 16384-word by 1-bit Dynamic Random Access Memory. So in total that is 32KByte of RAM. Top right is a 24 pin chip labelled HN4827128G-25, it is a 16Kx8 nMOS EPROM Memory. 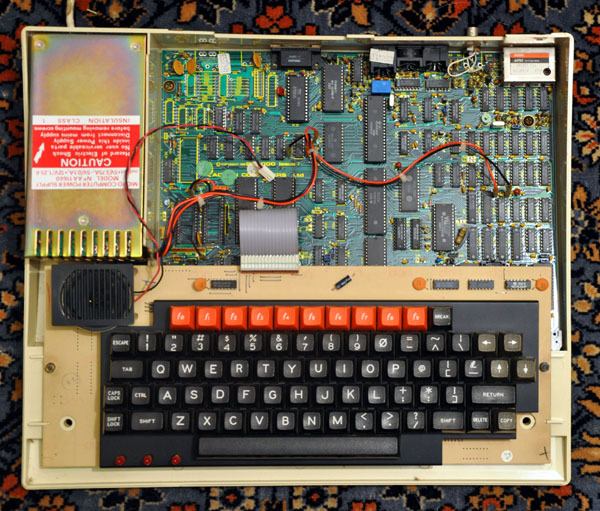 Scratched on the foil covering the Erasable Programmable Read Only Memory was WATFORD and below that DFS. 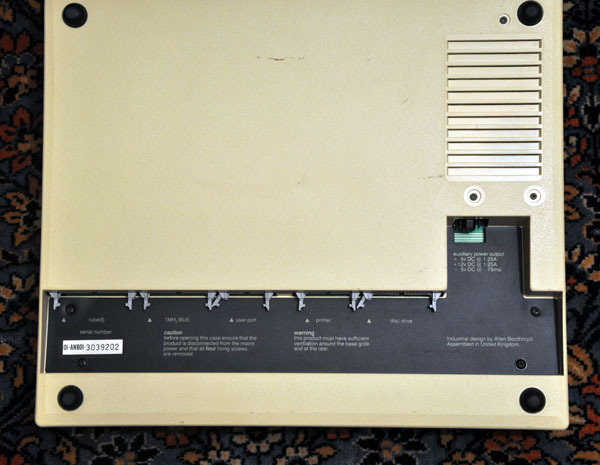 Below that was another chip labelled HN613128PB, it is a BASIC ROM chip. Below that is an empty 24 pin socket and below that another 16Kx8 nMOS EPROM Memory. Scratched on the foil is W.W.+. Everything is on one mother board, a very neat package.